The Mumbai – Pune rail corridor is one of the most important rail corridors in the country. 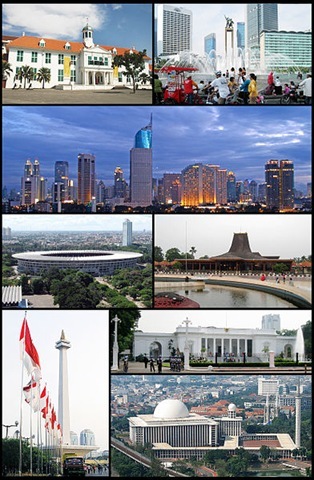 It connects two big metros (total population over 25 million). The Mumbai-Pune rail line also continues down towards Bengaluru, Hyderabad and Chennai. The Mumbai – Pune stretch is also a very busy and important freight corridor, given the large number of manufacturing companies in Pune. Given the rise in services and manufacturing industries in both cities, as well as the overall population and per capita incomes, the number of commuters between the two cities has grown exponentially. Unfortunately, the railways hasn’t kept pace with this over the past few decades. The Mumbai – Pune Road Expressway provides some relief…but even that is getting congested. Mumbai – Pune was one of the first intercity rail-lines completed in India (1850s). It was also the first intercity rail-line to be fully electrified (1920s). In 1930 luxury train Deccan Queen was started, and it took just 2 hours 45 min to cover the 192 km distance! Over the years, the Deccan Queen has slowed down (thanks to the heavy suburban local traffic) and now takes around 3 hours 15 min. So basically, in 85 years we have regressed…instead of speeding up! The Deccan Queen when it started was considered to be one of the fastest trains in all of Asia. Today on one hand, many countries have speeded up their trains to 150/180/200/300 kmph and beyond…while Mumbai – Pune corridor is still stuck at 110 kmph for over 80 years. The main thrust of the wish-list below is: expanding capacity of the current corridor to achieve faster run-times, some route changes, and faster frequencies. Expanding (widening) the corridor is key since this stretch has heavy suburban local traffic, which slows down through long distance trains. * Establish: Pune-Karjat-Panvel-Vashi-Mankhurd-Kurla-Mumbai has the main Pune-Mumbai route. This will cut-off 25-30 km distance. Note, this is the route that Pune-Mumbai road takes as well. * Ideally, provide a rail link along with the proposed trans-harbor link between Uran and South Mumbai. This will save another 10-20 km for the distance between Pune and South Mumbai (CST Station). * The present route Pune-Karjat-Kalyan-Thane-Kurla-Mumbai is longer (192 km). This also is affected by heavy suburban local train traffic from Kalyan to Mumbai (fast locals). * Current max speed on this route is 110 km/h. Bhor Ghat max speed is 40-60 km/h (or less). * Explore if certain stretches of the non-Ghat section can be speeded up to 150-170 km/h (semi-high speed). * Start hourly trains between the 2 cities on the new route. 2 hour run time is feasible with the current track (max speed of 110 km/h)…This was envisaged over two decades back with the Mumbai – Pune ‘Shatabdi’ ..but never implemented due to the suburban traffic. Even with a max speed of 110 km/hr and a 45 min travel time in the Ghat section, a sub 2 hour travel time is easily possible for a 160 km distance. * Higher frequency (hourly and 30 min at peak times) should also lead to smaller trains, resulting in faster acceleration. This can facilitate short 2 min stops in Lonavala, Panvel if required. * Connect Panvel Station with a light rail connection to the new upcoming Navi Mumbai airport at Kharghar. This will be convenient for both Mumbai and Pune travelers. * Run some trains from Pune to western suburbs (route them from Kurla to Andheri/Bandra ..), instead of Dadar/CST. * Start Lonavala-Pune-Daund suburban local trains with 15 min frequency. This is critical for the Pune metro region’s public transit. The Lonavala – Pune – Daund suburban corridor should be fully exploited to support Pune’s public transit system. * To support this heavy Pune – Mumbai traffic, significant upgrades will be required for Pune and Shivajinagar stations. Both need additional platforms. Also, given the space restrictions at Pune, Shivajinagar, will have to expand capacities of Khadki/Dapodi/Pimpri and Hadapsar/Loni stations. * Pune and Shivajinagar Stations should be supported by underground metro stations, to ease the commute. Khadki/Dapodi should also have metro stations (on the PCMC/Hinjavdi Metro route). We recently visited the beautiful country of Switzerland. Enough adjectives have already been used to describe this heaven on earth. Instead of adding to that list, I will just provide a simple comparison – Here’s a place that combines the Best of the Best – German Engineering, French Finecrafts, English/American Banking & Finance and on top of all this, spectacular nature! During our one week trip, we visited Interlaken, Lucerne, Zurich and Davos. Many people had recommended that trains are the best way to see Switzerland. I concur. However, driving around is also great fun. We settled for a hybrid approach. Decided to the travel by train on the Zurich-Interlaken-Lucerne sectors, and rented a car for the remainder. In this two part article, I will describe my observations from the trip. Interlaken is situated at the foothills of the majestic Jungfrau Mountain (more on this later). We took a train from Zurich airport to Interlaken (with a changeover at Berne, the Swiss Capital). Interlaken is a small town with one main street (Höheweg) and 2 stations Interlaken West and Interlaken Ost (East). Most tourist hotels are located on this main street and are within walking distance from the stations. The Höheweg at times resembles an airport terminal with many tourists dragging their large suitcases. The street has many good souvenir shops, restaurants and cafes. We stayed at a nice, small family run hotel: Hotel Splendid. It was originally built in 1908 and served as military hospital during World War II (during WW II, Interlaken was an important center for the Swiss Army). A building across the street from our hotel was one of the oldest buildings in Interlaken(over 500 years old). Interlaken reminded me of two distinct places in US – Yosemite Park and Madison, Wisconsin. 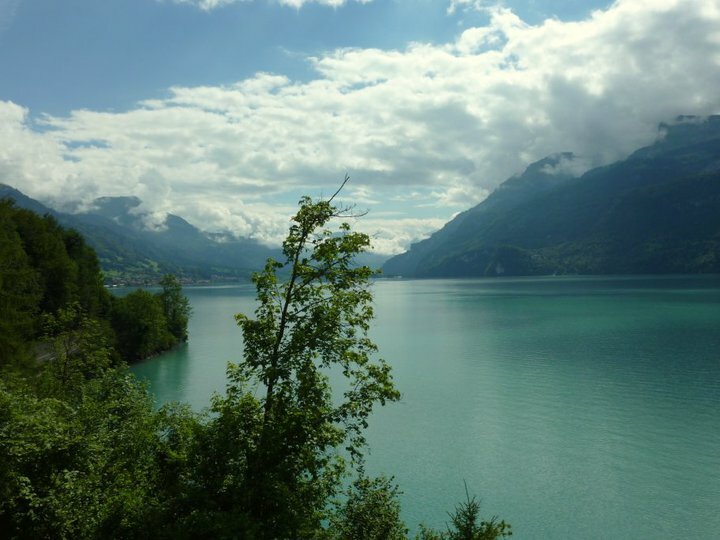 Interlaken is surrounded by many tall cliffs and is situated in between two spectacular lakes: Lake Brienz and Lake Thun (hence the name ‘Inter’ Laken…). When we reached Interlaken, we saw literally dozens of para-gliders gliding down from these cliffs and landing in a park in the town center (something to try for sure … maybe on the next trip! ). 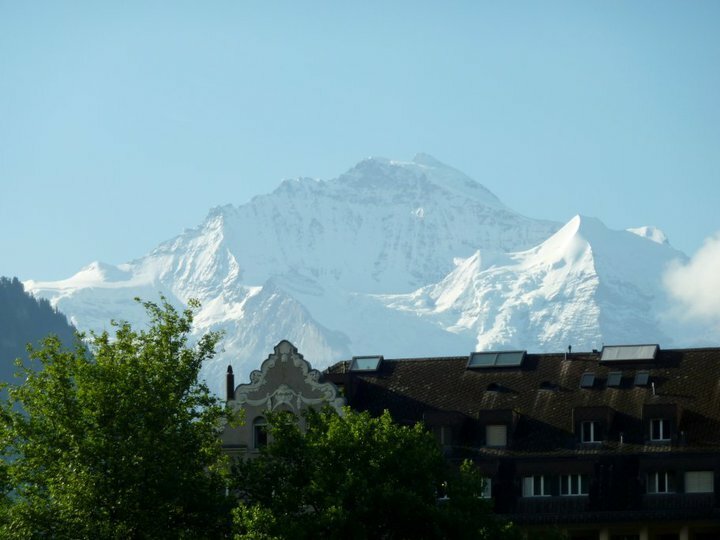 The Jungfrau peak and surrounding Alpine mountain ranges are visible from the town on a clear day. Majority of people in Switzerland speak German (the locals will point out that its ‘Swiss-German’…). Though given the tourist influx, English is reasonably well understood, compared to other European countries. The people we met were quite helpful and friendly. One big realization (and probably the only negative one…) that hits you on your first day in Switzerland is that this place is ‘really’ expensive! I have a simple, unscientific cost of living indicator that I use across countries. It simply entails comparing the prices across popular restaurant chains (McDonalds, Starbucks, Burger Kings, etc.). Prices in Germany, Netherlands tend to be about 1.5 times of US, while those in Switzerland are two times as expensive (A basic Starbucks Coffee costs more than $4). On our second day in Interlaken, we headed for the Jungfrau excursion. Jungfrau is the tallest peak in Switzerland and amongst the tallest in the Alps. An amazing piece of engineering over 100 years ago – the Jungfraubahn (Railway), opened up this great mountain range to Alpine tourism. 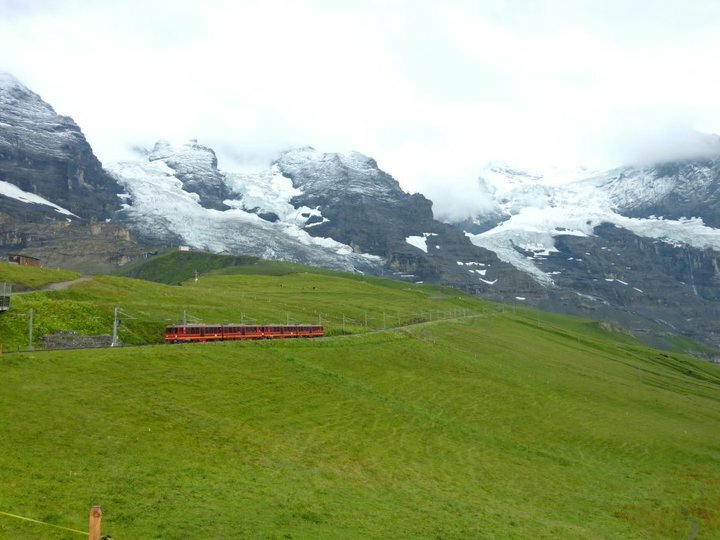 The Jungfrau Railway uses a cogwheel track for better traction on these steep gradients (max gradient is 25%). To reach Jungfrau Hoch station (at around 11,000 feet), you need to change trains at 2 intermediate stops. There are two alternate routes, both with breathtaking scenery (strongly recommend trying both routes – one for going up, and the other one for coming down). You start at Interlaken Ost at around 1900 feet and ascend up over 9000 feet in 2.5 hours. 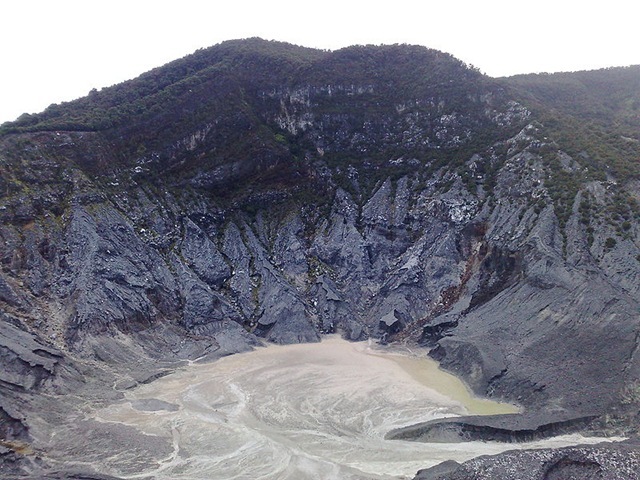 The changes in the landscape are quite interesting as you gain altitude. From trees and green meadows, you start seeing snow at higher altitudes, and eventually are surrounded by glaciers. The last stretch from Kleine Sheidegg to Jungfrau Hoch passes through many tunnels, but with nice viewing galleries (windows) cutout through the tunnels at certain spots. The view of the glaciers is great…unfortunately we were there on a foggy day, with limited visibility. 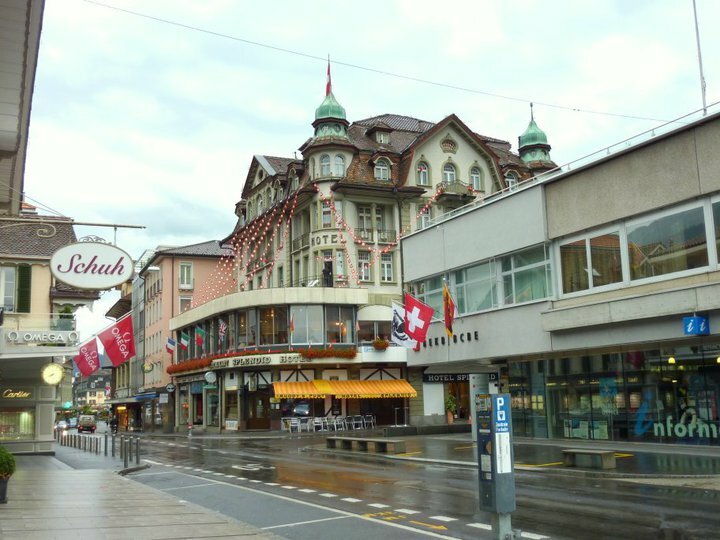 Jungfrau Hoch has been developed as a big tourist destination with multiple attractions and restaurants. A lift takes you few hundred feet up from the station, to a great open-air viewing gallery. On our way up, we took the Interlaken Ost – Grindelwald – Kleine Sheidegg route. On the return, we took the Kleine Sheidegg – Lauterbrunnen – Interlaken Ost route. 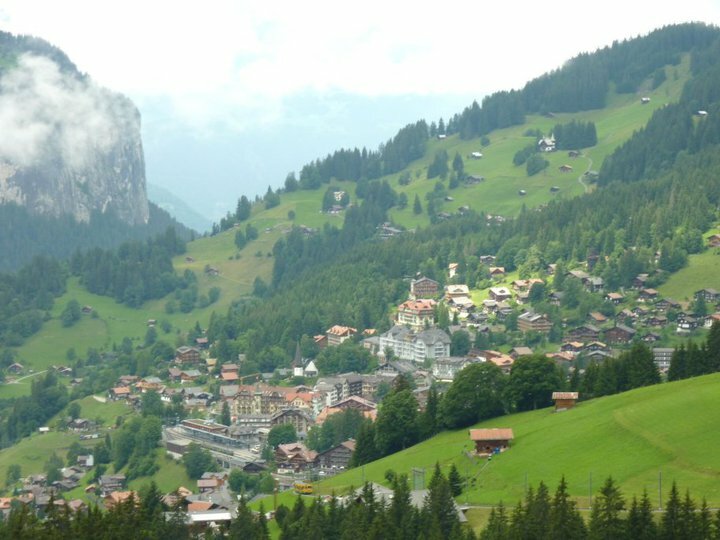 Train changes are required at Grindelwald, Kleine Sheidegg and Lauterbrunnen. The onward connections are synchronized (within 5-10 minutes), but I would recommend skipping a connection and spending 30 min – 1 hour at each of these picturesque stations on the way. Lauterbrunnen is also the starting point for a cable car ride up to Mt. Shilthorn (also referred to as the James Bond Mountain). 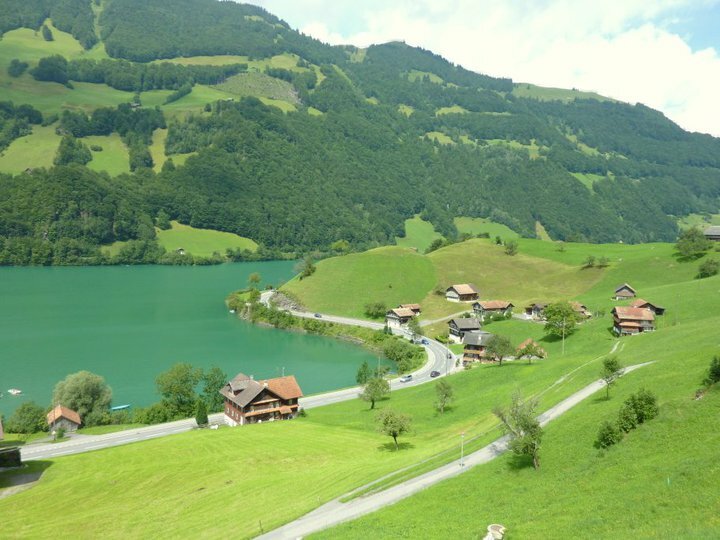 On our 3rd day in Interlaken, we boarded the train to Lucerne – The Golden Pass Panoramic Express. In the second blog post on Switzerland, I will write more about this wonderful train journey, and our stay in Lucerne, Davos and Zurich. We recently made a short 3 day trip to Sri Lanka. Thoroughly enjoyed the visit. Great Nature, Nice People, Good Food and Cost-Effective! Yes…with the current exchange rates – the prevailing prices for hotels, food, transportation, etc. seemed to be a lot cheaper than in India. Also, in the increasingly painful international visa regulations, Sri Lanka is amongst the few countries where an Indian Passport holder can get a Visa on arrival, if travelling for tourism purposes (with a stay of under 30 days). So you can literally board a plane and get there. And note, the Chennai – Colombo flight roughly takes the same time as Mumbai – Goa. In this blog post, I am highlighting 10 interesting memories from this trip. Frankly, we ran short on time. My recommendation is you plan for at least a 5-6 day trip. We are also looking forward to another trip there soon! Upon landing, as you head on the road from Colombo Airport to the city, you cannot help but notice a series of old-car repair shops. Various car brands (mainly Japanese) replacement chassis are laid out in the front. 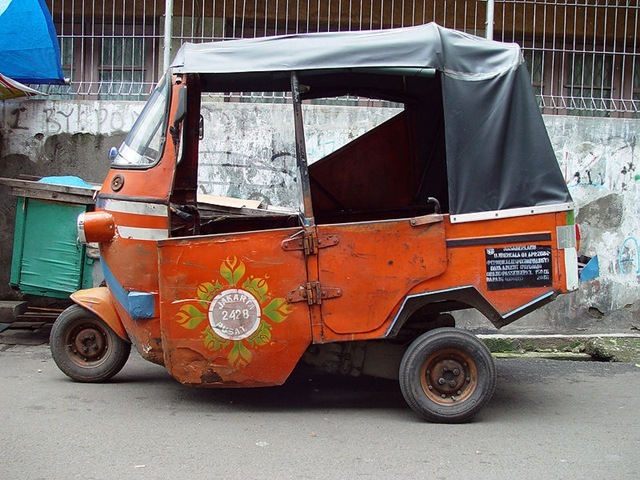 You also notice that the cars and mini-vans are a lot older than what you would see in India. I guess given the depressed tourist economy during the past 2 decades of civil war, not many new vehicles were imported. Hence these repair shops seem to thrive. Most roads are quite tiny, even by Indian standards. Even the major roads, like the Colombo Airport to City Highway, are 2 laned undivided roads. However, the traffic discipline is definitely a notch higher than in India. And the Helmet Rule is extremely well followed! In our 3 days there, we didn’t see a single motor-cycle rider or even the pillion rider, without a helmet. Honking is also quite uncommon (though not as uncommon as in EU/US). The long civil war, the Presidential Elections (we were there a week before the elections) are probably the reasons why we witnessed a lot of security presence in Colombo. Add to that, our hotel was near the Central Business Area that houses a lot of Government Offices. The sight of security personnel with automatic weapons, can be a little disconcerting for a first time tourist! Nuwara Eliya is a fabulous hill station and an important tea plantation region in Sri Lanka, perched up at an altitude of over 6,000 feet. A 5 hour drive from Colombo through continuously winding roads gets you there. The landscape changes quite drastically as you ascend from the sea-level, into the mountain slopes lined up with tea plantations. The British clearly loved this place and setup quite a few retreats here in the 19th century. These include the summer residence of the British governor-general. This royal residence has now been converted to a beautiful hotel, quite aptly named ‘The Grand’. Upon entering it, you literally experience the grandeur of the British Era. In this remote place, they have built an amazing place with huge halls, lobbies and regal rooms. The Hotel has done a great job in maintaining the historic residence – with the artifacts, wooden floors, fire places and decorative glass windows. The grand ball room is quite impressive. This royal residence literally transferred me to that era, and I couldn’t help but draw parallels between a similar residence in Pune – the British Governer’s mansion that is now the main building of the Pune University. Unfortunately, the Pune University Building is not anywhere in the same state as the Grand Hotel – given that both were probably identical in 1947. We stayed at the St. Andrews Hotel – a much smaller hotel but equally beautiful. This was built initially as a residence by a Scotsman who was clearly a Golf Fan. No prizes for guessing the origin of the hotel’s name! This hotel’s main lobby also dates back to 1875 and is very well-maintained. The multi-course European Dinner served at this seemingly remote Hotel/Town was simply exquisite! This hotel also has its own garden where they grow their own herbs and vegetables. Nuwara Eliya has many tea estates, and we visited one of the more prominent ones – Mackwoods Tea. They provide a nice tour of the tea-making process. They also have an excellent tea tasting room, as well as a great gift shop. While I am not much of a shopping enthusiast myself, couldn’t help noticing the attractive prices of various items: especially apparel. Two large stores/malls that we visited (recommended) in Colombo were: House Of Fashion and Odel. The central business area in Colombo has a beautiful promenade by the sea – somewhat like Mumbai’s Marine Drive. The major hotels (Taj, Intercontinental,Hilton, etc.) and Government Offices are in close proximity. There are street food vendors that sell seafood and other local snacks (no BhelPuri/Chaat here 🙂 ). This place is quite popular with tourists as well as locals. Based on our experiences (many tourists I spoke with concur!) – Sri Lankans are nice and friendly people. Our first experience started at the airport. The immigration officer was very friendly – not a common experience 🙂 . Maybe we were there during the peak wedding season…wedding celebrations were everywhere. Our hotel had 3-4 wedding related events everyday. Got a chance to understand a bit about their unique wedding customs that differ by religion/ethnicity/etc. Though irrespective of these differences, the weddings were grand parties in general! I asked our car’s driver about the cricket – clearly Sri Lankans are very passionate about cricket and their team. Was a bit surprised to hear that the most popular player in Sri Lanka right now is not Sangakara, Jayawardhane, Jayasuriya or Murali… Its Dilshan! Also, the most popular Indian cricketer in Sri Lanka right now is Sehwag. I am not any expert in Sri Lankan cuisine, but from what I sampled there, got an impression that there are distinct influences from South India and East Asia. I liked the Hoppers (a rice ‘Dosa’ like preparation, sometimes also made with rice and eggs) as well as String Hoppers (somewhat like thin rice noodles). The Curries were quite tasty and reminded me of the Thai/Malaysian Curries. 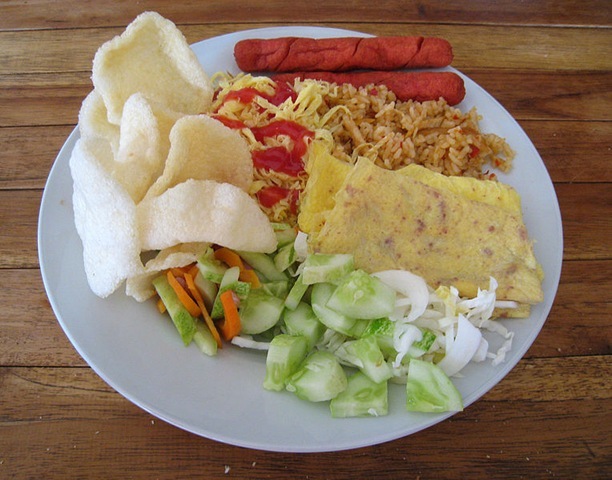 No surprises that most major hotels have excellent selections of continental and Indian cuisines available. We spent the least amount of time in Kandy, something we definitely need to rectify when we visit next. This historic city was the capital of Sri Lanka before the British Era began in 1815. 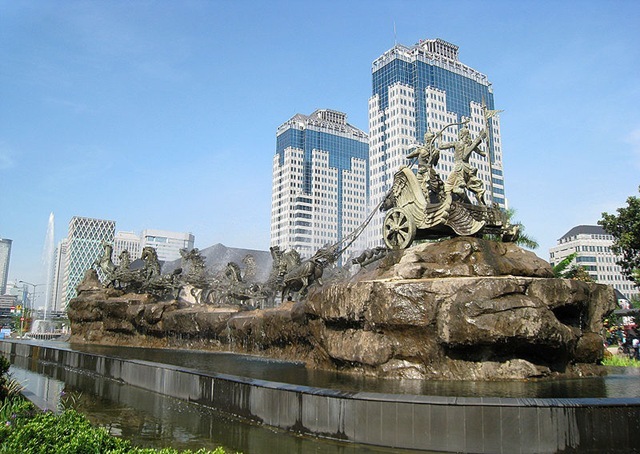 There are many historical monuments, the star attraction being the old Palace. 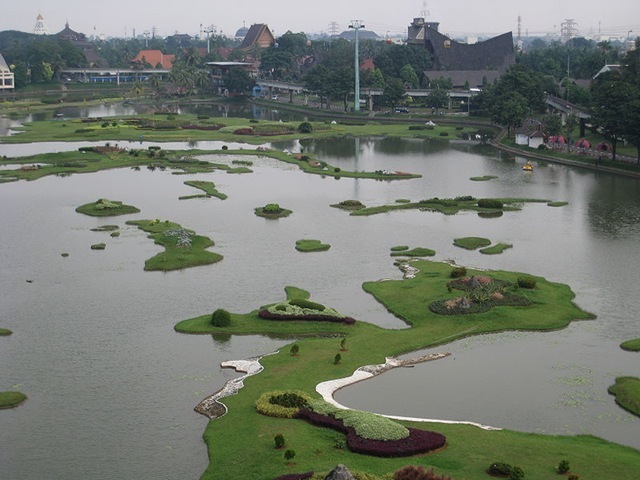 We heard that the botanical garden there is also extremely impressive – unfortunately, didn’t have time to visit. Recently, I got a couple of opportunities to travel to Kokan (I have no idea how the term ‘Konkan’ in English originated. I guess it was the British who started spelling it this way. Going by its Marathi pronunciation, it should be ‘Kokan’ and not ‘Konkan’). These were my first trips to Kokan after over 20 years! Needless to say, I noticed quite a few changes. This blog is an attempt to highlight some. Note I am focusing this on the Kokan region of Maharashtra, and not the entire Kokan region on the western coast of India. For a long time, the Kokan region was lagging behind rest of Maharashtra in growth and development. I think Kokan Railway was a seminal event in the transformation of Kokan, which is now well and truly underway. After many years of planning and discussions, this impressive civil engineering project was finally completed in 1998, with the first train being flagged off on the Republic Day. I have not yet travelled on this rail route, but hope to do so soon. Some of the bridges and tunnels on the Kokan Railway look quite spectacular. 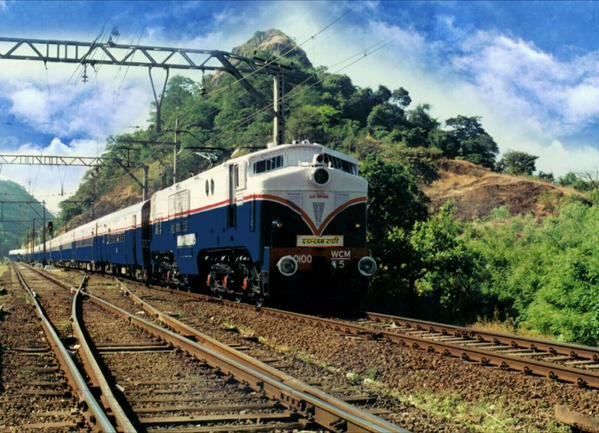 The Kokan Railway website has some very useful information www.konkanrailway.com . Quite a few new roads (state highways and national highways) and bridges have been built over the past 2 decades. (Though like every other infrastructure issue in India, a lot more still lot more needs to be done!). 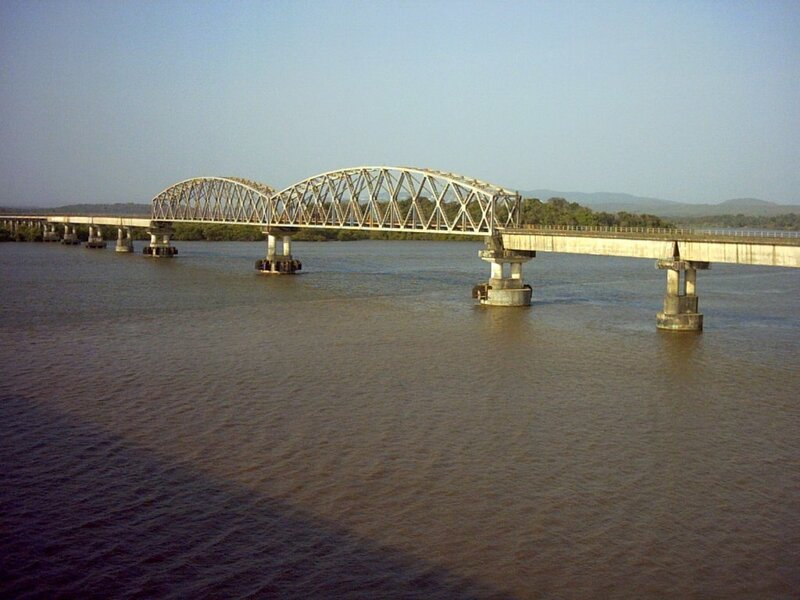 The Rajapur – Ratnagiri – Ganpatipule coastal state highway is a great example. Many big and small creek bridges have been constructed. Distances that took hours to cover now take minutes. If you look at the Kokan geography, there are many small creeks that separate villages and towns. In the past, a trip to a neighbouring town took a long time since there was a need to circumnavigate this water body. Not anymore. Ganpatipule to Ratnagiri time is down to less than 45 min from the previous nearly 2 hours.This coastal highway provides many stunning views of the Arabian Sea and really reminded me of the Pacific Coast Highway in California (just that the road quality has some room for improvement…). During my last trip to Kokan in 1989, the satellite TV and Cable revolution had not yet happened. Hence TV coverage was very limited. Very few folks had those large dish antennas, required to receive INSAT transmission of Doordarshan. Now, thanks to Cable TV and Satellite Dishes – TV coverage is available in the remotest of the villages. Same is true with mobile telephones coverage. One interesting, yet a little different example I can cite here is that of my car GPS navigation system. Was quite skeptical of using it in Ratnagiri and Kokan, but was amazed to see that it had a comprehensive database and turn by turn directions for Ratnagiri Roads and Points of Interest! Though Kokan is no where near Goa in terms of tourist volume, the railway and better roads have helped substantially in improving the tourism. Many new hotels and resorts have come up. But still the quality and standard of most needs to improve. Ganpatipule has been transformed from a small coastal village and temple town, to a big tourist hub. Talking about modern tourism – the famous Ganpati Temple at Ganpatipule has a prominent sign – www.ganpatipule.co.in This is a nice website with lot of good information. Most probably driven by cultural tourism, I noticed a big improvement in the upgradation of facilities and maintenance work done around heritage structures and temples. I visited a few that were over 1000 years old and were very well maintained. Once good infrastructure is in place, the economy is bound to improve. This is clearly evident. Compared to the 1980s, the area looks much better off. Still, the economic activity and prosperity gap, is evident when you climb up from Kokan via Amba Ghat into the Sugarcane rich rural Western Maharashtra. Maybe Kokan would bridge that gap in the coming decade. I noticed a big increase in number of bank branches. Even the smallest towns had a prominent bank location – a clear sign of economic progress. I remember in 1979, how Ratnagiri looked like a village. That changed a bit when I next visited in 1989. However in my most recent trip – the changes have been drastic. Ratnagiri now increasingly looks like a small city, with 4 laned divided roads, large buildings, markets, factories, restaurants, hotels, etc. Chiplun has also become an industrial town. Cash crops are booming in Kokan, clearly led by Mangoes. I noticed a big increase in organized mango farming over 100s of acres of land. Like elsewhere in rural Maharashtra, the spread of education in villages seemed quite prominent. In every small village we drove through, we saw a bunch of primary and secondary school kids en route to/from their schools. Similarly in urban and semi-urban areas, many colleges have also sprung up. Many new industries have come up in Kokan. Chiplun is becoming a chemical / pharma hub of Kokan. While driving to Rajapur, we saw a massive new Tubes Plant that is coming up just 10 km south of Ratnagiri. The much debated Dabhol power plant is also now functional (though I am not sure if it is at 100% capacity). The small Mirai port near Ratnagiri is also undergoing big upgrades.